Pen and Kink Publishing is excited to announce the upcoming release of a brand new series that is going to make your life just a little bit more magical. The novellas will all stand alone but they will also be a part of a larger whole — a trilogy. Though the degree of heat these romances include will vary, they will all feature a little touch of magic. 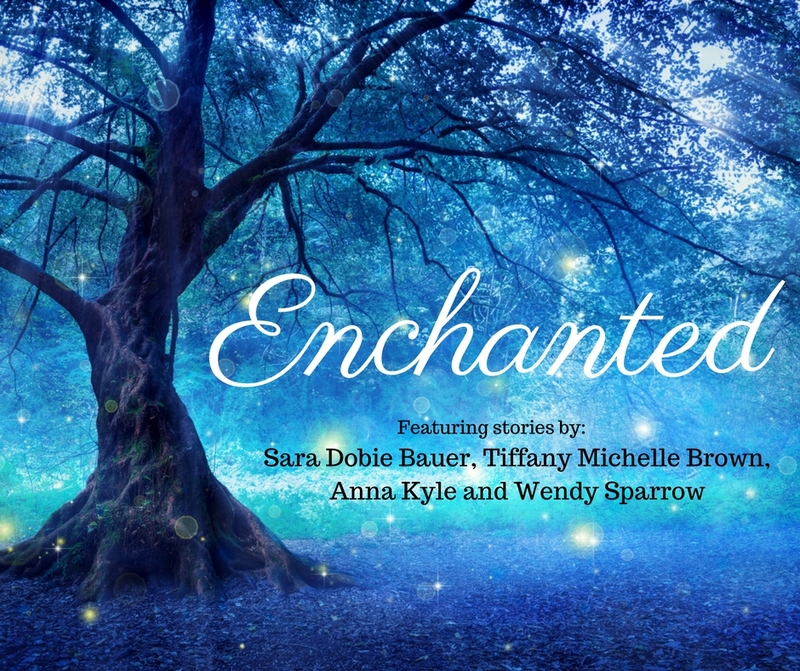 The first Enchanted title, Magic Spark, will be coming your way this spring! Here’s a sneak peek of the stories it will contain. When Natalie Willoughby discovers a pair of antique, diamond-encrusted shoes beneath the floorboards of the Forbidden Fox nightclub, she’s preternaturally drawn to them. Once they’re on her feet, Natalie’s burlesque alter ego, Jazz Corsette, is imbued with otherworldly sensuality and confidence, traits that lead her into the arms of adoring crowds and shy, down-to-earth Wes Peterson. But when whispers of the past threaten her relationships with Wes and her sisters in sequins, she’s torn. After all, once you’ve walked in someone else’s fabulous shoes, how can you go back to being yourself? Lark Seratt’s life was a whirlwind of parties, club openings, and magic as the face of Princess Charming, the wildly successful charm shop owned by her and two other witches. When the shop is accused of selling a hex, Lark’s life is threatened and she’s sent to a rural town while her friends try to clear her name. Gideon Max knew the second he pointed his shotgun at the drenched, angry witch that his quiet life was forever changed. He’s determined to uncover her secrets and keep the prickly woman around long enough to make her fall in love with him and his town. Together they must find the truth because the danger followed her here and the town’s long-protected legend is awakening. And if it rises, all will burn. As the demigod of fertility, Aster Slone has a thriving doctor’s practice. In fact, the incidence of triplets has made it too thriving. He needs more time with his neighbor the demigoddess of death to dampen his powers. Chandra Linton being gorgeous and sweet makes his task less of a hardship. Hitting the zenith of heretofore-unknown powers without enough exposure to her match is killing Chandra. Accepting all that her crazy, but hot neighbor says is her destiny…well, it muddles her convictions, but her real concern is: does Aster want Chandra because she’s the woman he desires or because she’s Death?